What benefits do teachers and school admins have when they are a part of an institution? Institutions should be set up and managed by school admins or their e-learning team. 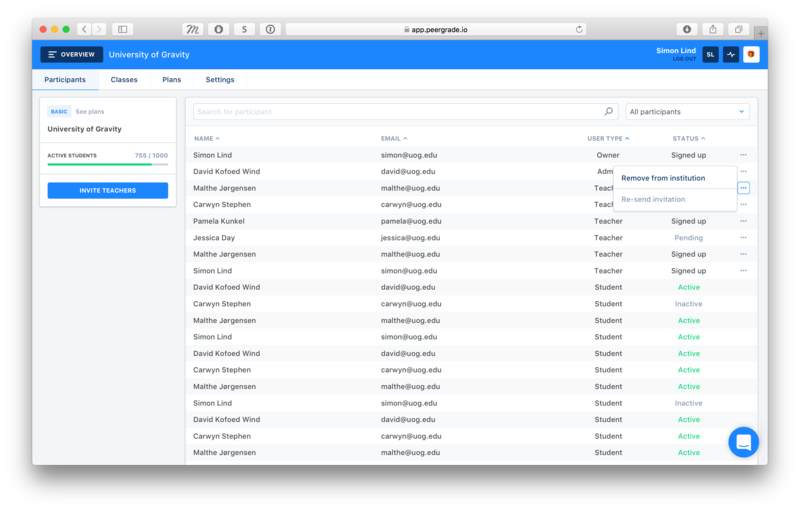 Institutions on Peergrade introduces a space for administrators to manage the teachers and account details of a school. Teachers within the institution will not have access to the admin institution page but they will gain benefits like integrations with LMS and shared rubrics. For teachers they get the collaboration tool of sharing rubrics across their entire institution and the reassurance that their students will be easily added to their class.